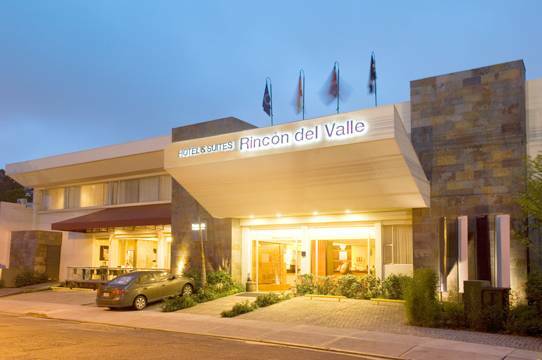 Rincon del Valle Hotel and Suites is a 4 star, boutique hotel located just steps away from the Metropolitan Park in La Sabana, heart of San Jose, within it lies the modern national stadium. In addition, just five minutes away from Multiplaza Escazu, the largest shopping center in Costa Rica where you can find over 300 stores. We are also 10 minutes away from major tourist attractions, like the National Theater, Gold Museum, Jade Museum, among others and we are near the embassies of the United States, Spain, Holland, Germany and others. We are a starting point for your adventures in Costa Rica, be it the beaches or the mountains. 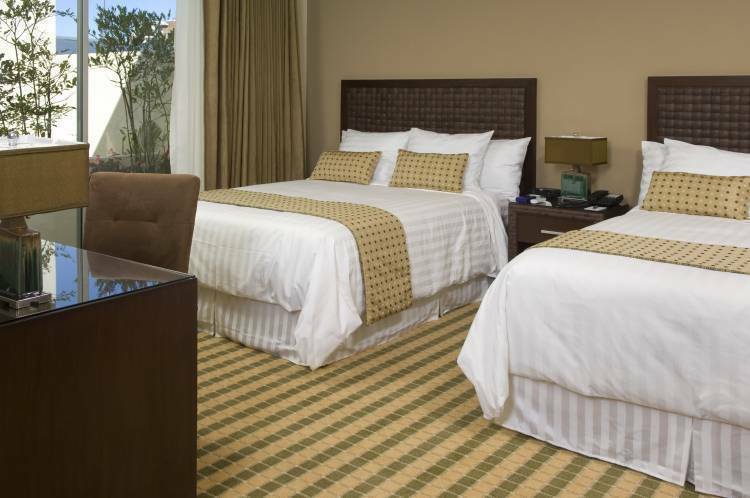 The hotel has 40 rooms, which are distributed as 25 deluxe rooms and 15 junior suites. All of the rooms have a desk, cable television, alarm clock, telephone, laptop sized safety deposit box, minibar, coffee maker with free daily coffee. 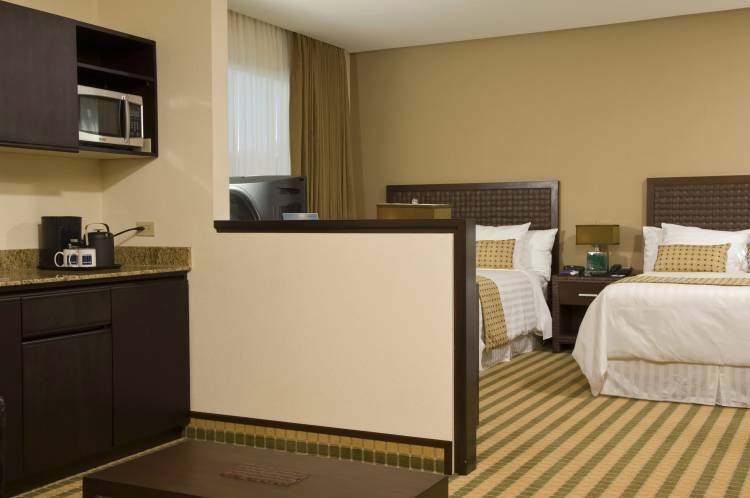 In the bathrooms, you will find a rotating, magnifying mirror, hair dryer, bathrobes and high quality amenities. 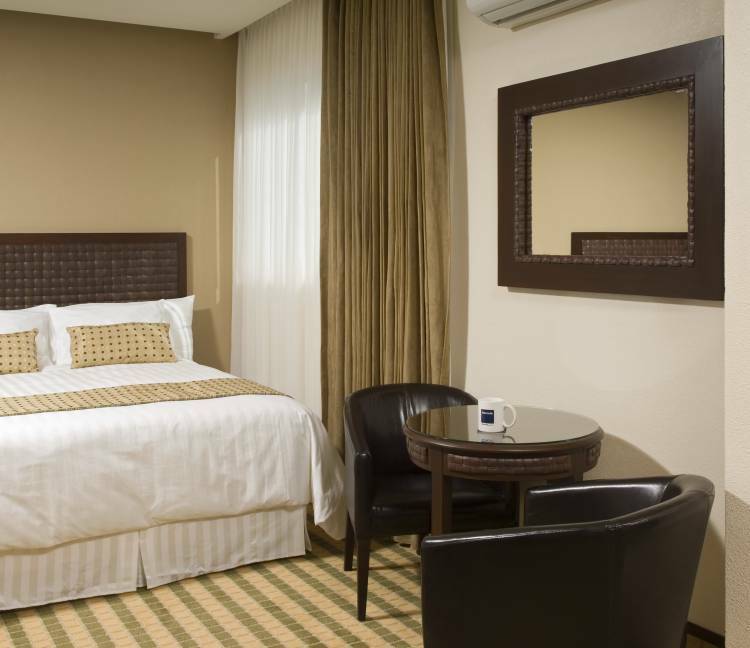 In addition, in the Junior Suites, you will find a sofa bed, kitchenette with microwave and a small refrigerator for our customers’ discretionary use, thinking a more comfortable, extended stay. In our facilities, you will find a gym and a heated Jacuzzi. Our reception desk is open 24 hours and we offer rental cars, excursions, paying the airport exit tax as well as free hotel shuttle, airport travel under preset schedules. The entire building has free wireless internet with a bandwidth of up to 10 megabytes and in our lobby, we have two computers for our customers’ use for those who do not bring their laptops with them; this service is also free. The full buffet and a la carte breakfast is included in our rates, which is served in our restaurant, Etnico from 6 am to 10 am. We also offer a wide variety of international dishes for both lunch and dinner. We also have three meeting rooms that can accommodate up to 50 people, all with individual internet service for our guests, always seeing that their activities are not affected by third-party data traffic. All meeting rooms have 50 inch screens with HDMI connections and we offer on all of our activities or meetings free use of video beams, flipcharts and dry erase boards. All of the rooms have a desk, cable television, alarm clock, telephone, laptop sized safety deposit box, minibar, coffee maker with free daily coffee. 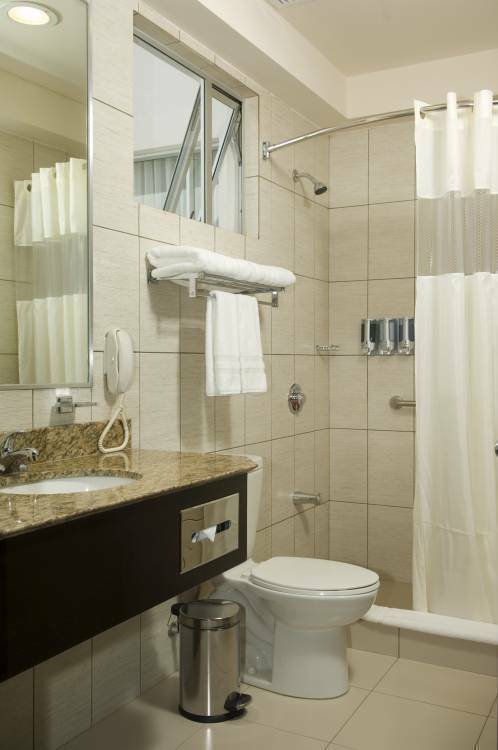 In the bathrooms, you will find a rotating, magnifying mirror, hair dryer, bathrobes and high quality amenities. 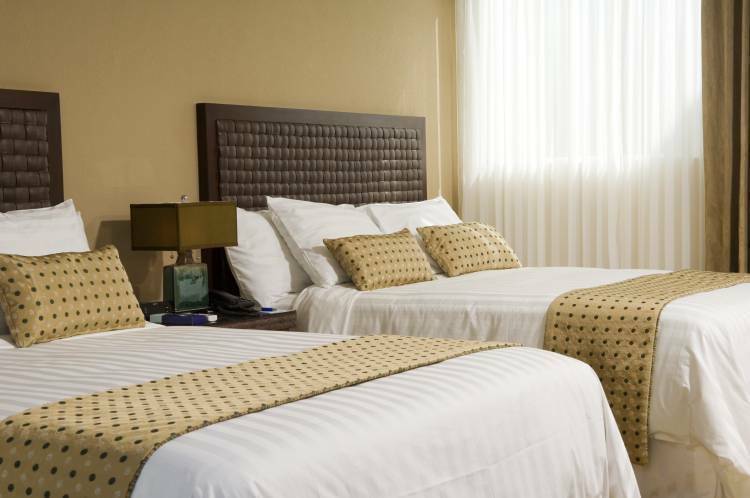 In addition, in the Junior Suites, you will find a sofa bed, kitchenette with microwave and a small refrigerator for our customers’ discretionary use, thinking a more comfortable, extended stay. Sabana Sur, San Jose, del Colegio de Medicos y Cirujanos 50 mts este y 50 mts sur.